The pastel trend isn’t going anywhere soon! It is here to stay, according to PANTONE. 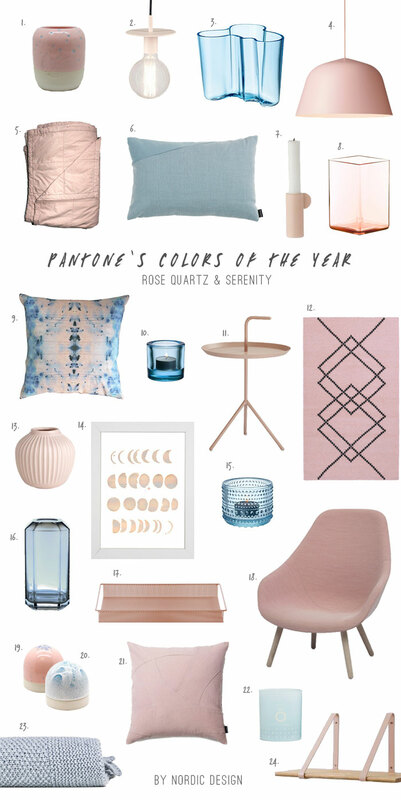 And for the first time, the color authority and trend forecaster selected not one, but two colours of the year for 2016: Rose Quartz and Serenity. We’ve rounded up our favourite furnishings to match PANTONE’s Colors of the Year 2016, to help you create the look at home. See my top picks in last year’s color, Marsala, here. I love the 4 but the link is not ok ?